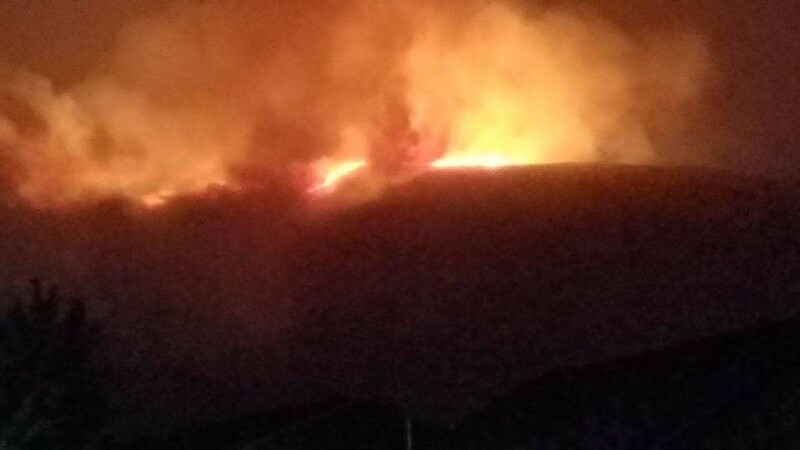 West Richland neighborhoods are now safe this morning in West Richland, after a fire on Candy Mountain burned an estimated 250 acres this morning. 100 homes were evacuated at one point, but everyone is now allowed to return home. 25 trucks and about 75 firefighters fought the fire and were on the scene. Crews will stay here for much of the day to keep an eye on the mountain, but luckily, the crews saved all the residents and their homes this morning. The cause of the fire is unknown at this time, but the fire started after a thunderstorm passed through our region. Again, crews will stay at Candy Mountain and throughout the local neighborhoods, throughout the day.